The pharma industry can add value, reduce costs and improve the overall quality of its products by improving packaging and labelling processes, enabled by integrated Product Lifecycle Management solutions. Effective package management is an increasingly critical capability for pharmaceutical companies. Pressure to maximise the potential of current product portfolios due to thin pipelines has now propelled several companies to enhance packaging to add more value to the consumer, as well as to reduce Cost of Goods Sold (COGS). Better packaging brings benefits not only to the patient, but also to nurses, pharmacists, doctors and manufacturers. Packaging can reinforce brand preference, improve compliance, facilitate consumption, limit dosing errors and help prevent counterfeiting. Adding value to packaging includes anything that can be improved that will support the following four core objectives: administration of the right medicine, at the right dose, at the right time and in the right conditions. 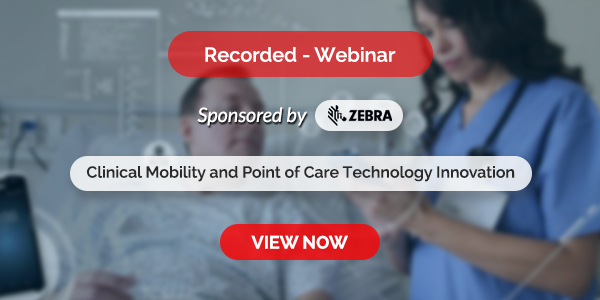 Adoption of these concepts will enable companies to add considerable value for the patient. In order to accelerate this, pharmaceutical companies can-and should-benefit from the relevant experience of consumer goods companies. This industry has proven that packaging innovation has a big impact on brand preference and profitability. One of the actions to consider is hiring more people with relevant experience in consumer goods industries to bring in new ideas and drive a change in culture, desperately needed to become more consumer-focussed. At the same time however, adoption of these concepts will further increase the-already great-complexity in the product portfolio due to an increasing number of packaging components and technologies used. Packaging and labelling (as percentage of COGS) constitutes one of the main components of the cost of a drug. The management and physical costs of the packaging can add up to 75 per cent of COGS. Management of packaging components is a complex, multi-stage operation requiring attention to detail and accurate communications at every stage. To illustrate the management challenge, consider a 100 mg tablet in a blister pack with an associated lidding foil, insert / leaflet, carton and printed dispatch label for each market. If sold in 40 countries, this can add up to 160 different printed packaging components. If the product is available in three strengths, this total could rise to 480. When this figure is extrapolated to all products in a company portfolio of 40 products, this totals 19,200 items. The resultant large number of packaging components must be managed effectively and also requires the infrastructure to create, purchase, store and distribute the components before packaging. Additionally, many companies now require the ability to fill and pack products in more than one location-a very complex operation to manage given the above scenario. • Anti-counterfeiting measures (overt, covert) and application of e-pedigree / tracking & tracing technology, such as the European Federation of Pharmaceutical Industries Associations (EFPIA) 2D Matrix. The issues listed above can be effectively addressed by a Product Lifecycle Management (PLM) solution that manages the printed packaging component development and package management process that can result in faster throughput of changes, increased reuse of intellectual property and packaging components and reduced risk for errors. The solution should be focussed on providing collaboration, workflow, communication and audit trail capabilities for the management of artwork, packaging components, change requests and approvals, and enforcement of policies and procedures to enable compliance with regulatory requirements and company quality policy guidelines. Such an integrated PLM solution is an essential component for packaging management, resulting in shorter processes, end-to-end audit trails and completion tracking, coupled with relevant management metrics, and document management promoting global standards that drive quality and cost-efficiencies. Improved time to complete packaging changes ( a 50 per cent reduction in cycle time). Reduction in Total Cost of Ownership (TCO) of IT infrastructures by replacing multiple legacy systems with one central solution. Greater compliance with regulatory requirements, and significant reduction in audit effort. Electronic signatures, security and audit trail. Packaging and labelling is an area that receives increasing attention in the pharma industry to deliver added value to consumers and reinforce competitive advantage. Next, the area still offers many opportunities to reduce cost and compliance risks by establishing more structured, consistent processes across the organisation. In order to enable this, the introduction of a packaging management system based on an integrated PLM solution is an essential component in addition to thorough process re-design and change management. As proven by several pharmaceutical companies, one of them being GSK, they can expect to achieve significant-quantifiable-benefits by deploying the PLM solution for packaging management. In addition, the integrated PLM platform will allow companies to continue to integrate information and processes across their organisation and across the product lifecycle. This has the potential of delivering even bigger benefits in key areas such as reduction of process lead time, reduction in time to market, increase in process efficiency and productivity, reduction of cost, errors and compliance risks. "There's no point spending ?800 million developing a drug with great clinical indication if the patient can't use it because it's either difficult to handle, difficult to get out or the package doesn't give us tight, regulatory control. Packaging is an absolute integral, fundamental part of what we're trying to do. The development of a pack is just as important as the development of a drug or a product line extension." GlaxoSmithKline (GSK) has implemented a thorough re-engineering project called Global Pack Management. Like other companies, GSK has struggled with increasingly complex product portfolios and processes. As a consequence, GSK now runs a process of optimising the product and component portfolio on a continuous basis. As pressure on margins is ever increasing, opportunities for packaging cost reduction are a key focus area too. GSK has implemented a uniform global process for managing packaging changes. This improves efficiency because the work can get done either faster or with fewer people. It also helps ensure regulatory compliance, which was a concern for two reasons. One, artwork errors are the most frequent cause for product recalls. Secondly, because of the mergers and market conditions, GSK was driving through a massive amount of labelling changes. All employees have access to a complete catalogue of current GSK's packages; so, if someone in Brazil wants to launch a new product he can see what is already available within the organisation. The purpose of the catalogue is to share ideas and best practices worldwide, while promoting packaging component reuse and optimisation, as well as rationalisation of the supplier base. GSK has grouped packaging artwork management for all products in four regional service centres (instead of the previous 250 sites). Establishing dedicated art work centres of excellence has enabled GSK to maximise resources and expertise, including language skills. Together, the centres handle languages for all GSK's markets. With one centralised IT system, employees around the world are all using the same application. Not only did this allow the company to create its pack catalogue, but it also helps increase the workflow capability because GSK can monitor a task's progress, providing real-time insight down to task and deliverable level. Also, replacing multiple legacy tools with one central solution has had a positive impact on the total cost of ownership of the IT infrastructure. Harmonisation and simplification of IT infrastructure due to the replacement of multiple legacy tools with one central solution. Total yearly savings have been estimated to be an eight-figure number, demonstrating the strong business case for Global Pack Management, as well as highlighting the ROI and short payback time for the investment. GSK also started improving other core business processes enabled by this solution. 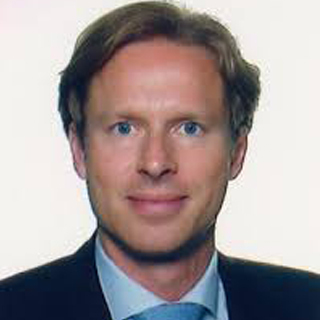 Marc Sluijs is Business Development Director in Oracle's EMEA Healthcare and Life Sciences Industry Business Unit. Marc has spent the main part of his career in Management Consulting with Accenture's European Life Sciences practice; additionally Marc has worked for L'Or?al, IMS Health, and Merck Serono. He holds a degree in Business Administration from the Erasmus University Rotterdam with a major in marketing management.